Yael Calhoun, MA, MS, E-RYT is a long time educator and author, with a strong background in education and teaching yoga as a tool to deal with trauma, stress, depression, anxiety and compassion fatigue. She is a writer/series editor of over a dozen books and has developed books, DVDs/CDs, and training manuals on yoga, including yoga for trauma, special needs, children, seniors, caregivers, classrooms, and cancer survivors. 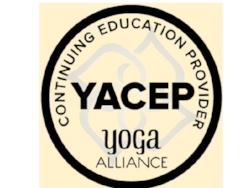 Yael’s education includes an undergraduate degree from Brown University, a Master’s of Arts in Education from SCSU, and a Master’s of Science from University of Rhode Island. In addition, Yael is an experienced certified yoga instructor (E-RYT) through Yoga Alliance and trained in Trauma Sensitive Yoga through the Trauma Center, Trauma Justice Institute. Nicole has been a yoga devotee for the past 18 years. She has been teaching yoga for the last 15 years. After starting the Yoga program at the Huntsman Cancer Institute, out of necessity, Nicole developed a style of yoga that incorporates a 4 foot wooden dowel into traditional yoga poses. She is passionate about making yoga accessible to all abilities. Nicole is the co-author of Yoga for Kids to Teens (Sunstone Press) and author of SOLA Yoga Stikk - An Introduction (DVD and manual). Nicole is a full time teacher at Paradigm High School, the rowing coach for the Huntsman Cancer Institute Rowing Program, yoga instructor for Renaissance Ranch and Snowbird Resorts. When she isn't sharing her passions of health, rowing and yoga, Nicole is playing with her two children, Carlo and Nina. Carla has a bachelor’s degree from the University of Minnesota and over ten years of experience in administrative and office management roles in academic, medical, and research settings. She began practicing yoga in 2007 and was inspired to pursue teaching in 2012 with Scott Anderson, founder of Alignment Yoga and YogAutism, based in Madison, Wisconsin. She has since completed 500 hours of advanced studies in Alignment Yoga and currently teaches public and private yoga classes throughout Salt Lake City, including at the Huntsman Cancer Wellness Center. Carla is informed in teaching Trauma-sensitive Yoga based on training received through GreenTREE Yoga and the Trauma Justice Institute's Trauma Center. Off the mat, Carla enjoys studying Ayurveda, practicing Reiki, preparing healthy food, exploring the outdoors, traveling, and spending time with friends, family, and felines. Yvette is a Certified Yoga Instructor and a Licensed Clinical Social Worker, with a Masters of Social Work from the University of Utah. After completing more than 1000 hours of yoga teacher training, Yvette began integrating yoga and breathwork into her clinical practice working with refugee and formerly homeless communities. In 2013, Yvette trained in Trauma-sensitive Yoga at Kripalu Institute, in partnership with the Trauma Center at the Justice Resource Center in Massachusetts. In 2014, Yvette had the opportunity to travel to the Thai/Burma border to teach yoga in the Bai Nai Mai Soi Burmese refugee camp. She returned the following year, then partnered with GreenTREE Yoga to develop a curriculum to be used in Thailand as well as with professionals working with refugee and other vulnerable communities in Salt Lake City. In 2016, Yvette traveled to rural Chiapas, Mexico to assist in the implementation of a community mental health program with Partners in Health. She taught yoga to community health workers, patients struggling with depression, and to physicians working with patients. Yvette currently works at a community health clinic in Bellingham, WA where she continues to integrate yoga and breathwork in her clinical practice. Mr. Calhoun has over 20 years of experience in private nonprofit administration and fundraising. This experience includes being a founding Board member of two nonprofits (Western Shore Conservancy for the Protection of Natural Areas, Prince George’s County, Maryland; and the New England Environmental Education Association)and 15 years of experience administering three other nonprofits Associate Director of the Rhode Island Audubon Society; Executive Director of The Neighborhood House, Northeast Harbor, Maine; and, Executive Director of The Audubon Naturalist Society of the Central Atlantic States). Mr. Calhoun’s education includes a B.A. from Yale University, a Master of Arts in Teaching from the University of Chicago, and a Master’s Degree in Environmental Education and Environmental Sciences from the Yale University School of Forestry and Environmental Studies. Currently Mr. Calhoun is in real estate. He enjoys yoga, kayaking, skiing, cycling, and hiking. Ellen has an extensive background in corporate sales and marketing. She now uses her powers for good. One of her greatest delights is tutoring Spanish and helping her students wake up to the wonderful possibilities of being bilingual. She is also National Support Group Liaison for NTMir (Non Tuberculous Mycobacterium Information and Research), a foundation that assists patients with this rare lung disease (she is one of them!). Her nonprofit background includes almost ten years with the Susan G. Komen Foundation with two of them as Race Chair. She is a firm believer in movement as medicine and thoroughly enjoys yoga, hiking, walking, horseback riding, skiing and snowshoeing. Ellen also views world travel as beneficial movement! On most days, Supreet can be found digging in her garden or hiking and rock climbing in the mountains. Her day job as the Urban Farming and Open Space Program Manager with Salt Lake County keeps her happily busy working with local farmers and overseeing County’s 5000+ acres of Open Space. She loves finding new and innovative ways to increase local food production and prides herself in motivating and sometimes tricking people into eating fresh, local food. She recently started overseeing the County’s Open Space program, and she is gearing up to get more people into the outdoors to enjoy and appreciate the natural world. Supreet’s love of nature extends into the nature of healing – be it through improving our connection to the natural world, regeneration and healing of our ecosystems, or healing the human body with yoga and a nutritious diet. Supreet has had the privilege of leading yoga classes for a variety of vulnerable populations such as refugees, low income families, children and youth and veterans. She has been a supporter and a volunteer for GreenTREE Yoga for over 5 years and she loves being part of a team that facilitates powerful healing through yoga and mindfulness. Attorney Loren M. Lambert has a diverse background. He has been a kayak, canoe and rafting guide upon the Snake and Salmon rivers. He is a part time professional singer and actor in Salt Lake City, Utah and currently runs his own legal practice, Arrow Legal Solutions, and is a board member of OFFER (a non-profit organization that promotes advocacy, education and research for persons with Chronic Fatigue Syndrome and Fibromyalgia). His practice provides many legal services, including disability law, family law, criminal law, personal injury law and general litigation services. Mr. Lambert also served a three year tour of duty as a JAG officer in the United States Army. His practice provides many legal services, including disability law, family law, criminal law, personal injury law and general litigation services. Mr. Lambert's other interests include photography, swimming, yoga, weight lifting, dancing, crew, climbing, and camping. Mr. Lambert has competed in wrestling, volley ball, long distance running, triathlons and kayaking. He plays the recorder, drums and the saxophone and loves music. His achievements include a black belt in Tae Kwon-Do and winning the Governor's Cup in kayaking in Jackson, Wyoming. Charlotte Bell has been practicing yoga since 1982, and began teaching in 1986. She has established and taught regular classes along Utah’s Wasatch Front, and in California and Hawaii. She has also taught workshops and yoga for cancer patients and their families at the Cancer Wellness House in Salt Lake City. She has taught at national conferences and international teacher trainings. Each summer, Charlotte leads yoga classes on women’s river rafting trips. In addition to teaching yoga and meditation, Charlotte writes feature stories for Utah publications, including Catalyst magazine. She has modeled and served as editorial adviser for Hugger-Mugger Yoga Products’ catalogs since 1986 and serves as their blog editor. She has been commissioned by Planet Bluegrass in Boulder, Colorado to contribute to a book about the Telluride Bluegrass Festival. She is the author of Mindful Yoga, Mindful Life (Rodmell Press, 2008)), Yoga for Meditators (Rodmell Press, 2012), and Hip-Healthy Asana: The Yoga Practitioner's Guide to Protecting the Hips and Avoiding SI Joint Pain (2018). Charlotte plays oboe and English horn and in the Salt Lake Symphony, where she also serves on the board of directors as director of media relations. She also plays in the chamber folk ensemble, blue haiku and the folk group, Red Rock Rondo. In addition, she plays in nursing homes, hospitals, rehab centers, assisted living facilities and youth correctional facilities through the Salt Lake City non-profit group, Heart & Soul. Shelley Schwartz has lived in Salt Lake City for 2 years. Prior to her retirement she lived,worked and raised a family in New York. She has been blessed with raising 2 wonderful sons, with her husband, and having an open door for others to their home.Shelley graduated from NYU, with a Masters in Psychology of Emotional Disturbance in Childhood. After graduating NYU she began her work with Autistic children doing Early Intervention for 35 years. Her greatest joy was to watch a child blossom, a success story waiting to begin.She also taught in the NYC schools and developed many programs for Special Education students. Shelley loves the outdoors, gardening, skiing, hiking, and road riding. Her true love is animals, singing(although she can't) and spending time with friends and family. Shelley is an advocate for Human and Animal Rights. Shelley also loves to travel. She spent time in Cambodia, with her son at an orphanage teaching English. More than teaching, just being with the children warmed her heart. She has helped get kids off the street in Cambodia and into safe environments. She has been involved with many organizations for political and social change. She is a mother/sister and friend/ally of the GLBT community. She has organized many events, including the first AIDS walk in Westchester, NY. Shelley is involved with Keshet (rainbow) Parent and Family connection.She believes in Equality for all. Shelley has spoken and organized many panels, discussions and events for the LGBT community. Her passion and dream is to make this world a safe and inclusive place for all no matter of their sexual identity or gender. 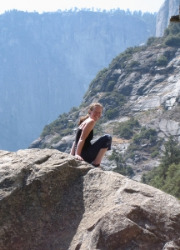 Dawn is a certified yoga teacher who moved from Maine to Salt Lake in January 2006. She has worked for many years with children with autism and adults with various disabilities. Dawn has been practicing yoga for 15 years and is certified through the Ananda Seva Mission in Santa Rosa, California. She particularly enjoys practicing Anusara yoga, but Dawn loves that there are so many styles and talented teachers herein Salt Lake. In her free time, Dawn is a rock climber, and has always felt that yoga and climbing go hand in hand. She also teaches & coaches climbing. In addition, Dawn is a certified rock climbing guide. Dawn teaches yoga at Momentum Climbing gym, the Jewish Community Center, and for many GreenTREE Yoga programs. Kimberly Preston, E-RYT, AYT, is an experienced yoga teacher for adults and kids. She completed the ChildLight Kids Yoga Teacher Training in 2011. She has over 10 years experience working with kids with developmental disabilities and mental health issues as a social services worker. Kimberly believes yoga is for everyone and invites children of all abilities to participate and learn. Kimberly strongly believes in the power of play to heal and transform lives! My passion for life, health, living from the heart, and deepening my connection to the Divine, is what led me to yoga as a pregnant woman 24 years ago. My desire to pursue continued education has led me to study with some of the best. Extensive workshops and trainings with Arun Deva, Shiva Rae, Simon Park, Desiree Rumbaugh, Brian Kest, Baron Baptiste, Seane Corn, Saul David Raye, Anodea Judith, and many more, have ignited my passion for continual study. I currently teach private, group, corporate, and weekly, public classes in Salt Lake City and Draper, UT, as well as hosting my HeartLife Yoga™ events and retreats. As a 500 hour RYT teacher, my affiliation with “Yoga Assets,” and “Yoga Forward,” as a teacher/trainer is one of the highlights of my current yoga career, bringing yoga to aspiring teachers and into communities that would not normally be receiving it. "As both a life coach and a yoga teacher, I have the incredible honor to not only assist students in growing their physical practice, but also having the gift to support them in exploring, integrating and strengthening their spiritual journey, off of the mat, and into their world. Yoga deserves to be infused into each day, no matter where you are or what you're doing. Combining the all-encompassing benefits of yoga with my HeartLife model of personal transformation gives the world a wonderful gift. Erica earned her 500-hour Yoga Teacher Certification from Mindful & Embodied in Salt Lake City, Utah in 2014. Soon after, she was hired as the Kids Yoga Teacher at Lollie Eccles Early Learning Center, kicking off her ‘in-school’ yoga teaching journey. Erica’s passion for educating children about mindfulness, health and exercise started when she worked as a nanny in Denver, CO, her hometown. After moving to Salt Lake City in 2011, she was cast as a performer in the high-energy children’s school assembly tour, sponsored by Intermountain Healthcare, which highlighted their ‘8 Healthy Habits’ campaign. The show weaved song, dance, skits and audience participation to create a comprehensive and fun educational experience for children to learn how to live a healthy life and make mindful choices. When not teaching, Erica enjoys making music, performing in musical theatre projects, exploring enchanting Utah outdoors with her furkid, Roxy the Shih Tzu, and traveling with friends and family. Erica teaches yoga at Full Circle Yoga & Therapy, Momentum Climbing Gym, Solitude Mountain Resort, various corporate yoga locations across the valley and is honored to teach for GreenTree Yoga programs, where she has gained an abundance of knowledge and CE credits that she applies when catering to cherished students who seek a more specialized yoga approach in order to feel safe and cared for, including trauma sensitive, kids yoga and yoga for people with visible and invisible disabilities.